As much as I love breakfast at home though, I do sometimes like to treat myself and get someone else to do the cooking for me. In which case, Café Cometa on Carrer Parlament is a favourite. One of the first places I discovered in the area, it’s a great place to relax. 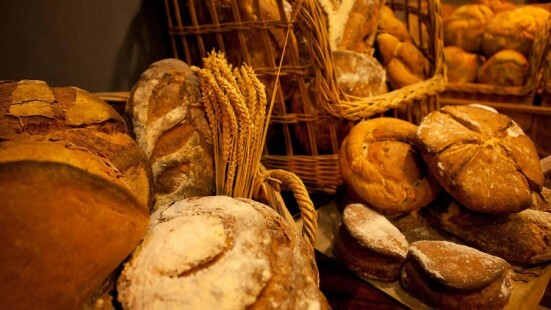 The food is wholesome and made with care, the cakes have that great home-baked taste and the juices are really fresh. They also usually play great music and have a nice choice of newspapers and magazines to read through. If, in some horrible turn of events, they were full, I would head across the road to Tarannà (c/ Viladomat, 23). In addition to the great food they have the added bonus of serving Bloody Mary’s. The atmosphere on Carrer Parlament at weekends is usually a great mix of laid-back and happy. Brunch is still really popular and, true to style, Spanish brunch seems to easily go on until about 4pm. After breakfast, I would head to Sant Antoni market to do my shopping for the days to come. I make a point of going to the market at least once a week and although the weekends are often busier, I love the buzz. The markets here are like nothing I’ve had the pleasure of experiencing elsewhere I’ve lived. Buying fish has definitely taken on a whole new meaning and I’m loving trying to perfect my suquet de peix. I like wandering round the stalls eyeing up all the produce before making my pick, listening to all the stories going on over the counter, generally just getting lost in the crowd and seeing who I can strike up a conversation with. I usually get carried away and buy some ridiculously expensive almonds or fantastical fish – but what are the weekends for if not consumerism gone mad, hey? With breakfast having settled and my tour of the market done, I would go for a stroll up Montjuïc. That’s another thing I love about living in Poble Sec, I walk out of my house and can head one way for the bright lights of the city, head the other way and I have the peace and quiet (well…) of Montjuïc. The Grec and Laribel gardens are probably my favourite places to hang out in, the amphitheatre in the Grec is a great place to read a book and people watch, and it’s not rare to catch the local theatre students rehearsing, or someone playing saxophone or drums in the distance. 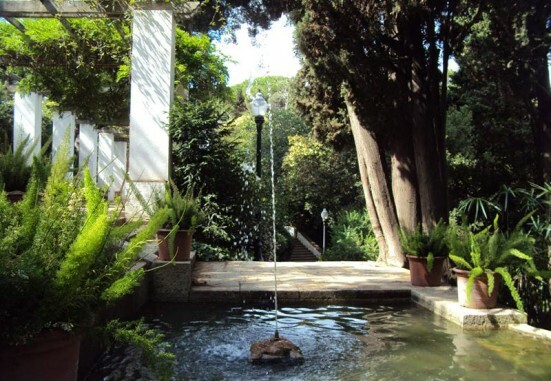 I think that my favourite feature of the gardens is probably the Escaleras del Generalife leading up from the Grec garden to the Laribel garden. I always end up day-dreaming in front of the waterfalls on each side of the stairs as I climb up. When I do eventually make my way to the top of Montjuïc, I like to stare down at the industrial area and the cruise ship port. It’s nearly quite beautiful in its ugliness really, the side of Barcelona you don’t really get to see from any other place, and that you don’t really expect to see for that matter. A stark contrast to the organic curves of Gaudí for instance. Suffice to say that after that strenuous hike I will be ready for a drink. 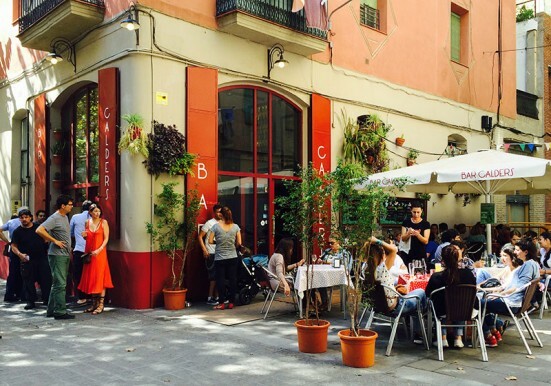 The Plaça del Sortidor in Poble Sec is a great place to grab a sit on a terraza and unwind. It’s a really popular spot for families and generally a bit quieter and more relaxed than Blai. In France most bars and cafés have a terrasse and I had always missed them when living in the UK. 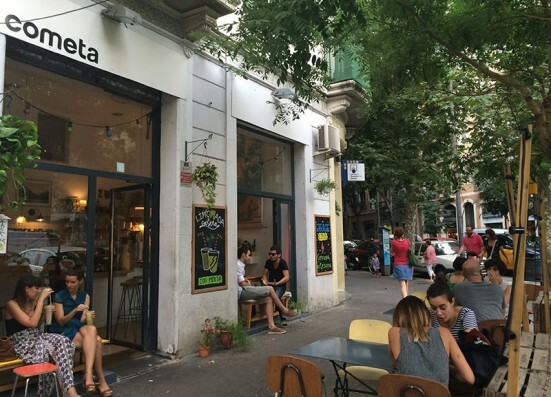 There doesn’t even really seem to be a word for them in English as “terrace” isn’t quite the same and beer gardens, well… La Pepita is always friendly and play the kind of random selection of music I enjoy. If I’m feeling more adventurous I would head across the road (Parallel that is) and try to grab a spot at the much coveted terrace of Bar Calders (c/ Parlament, 25). If it’s not terrace weather then the Sortidors del Parlament (c/ Parlament, 53) is another favourite and their food is worth a try. It’s also the first place I discovered vermouth in Barcelona so holds a special place in my heart. There’s something about the warm, spicy feeling you get in your mouth after a vermouth which makes it unique. Finally, for dinner time. Eating out in Poble Sec is really fun and making a choice can be hard but I think I’ve pretty much mastered it by now. If I’m feeling fancy, I’ll head to Xemei (Passeig de l’Exposició, 85). Another place I stumbled upon and was delighted to find we had one of the finest Italians (Venetians to be precise) on our front door. They know how to do service and the food is delicious, everything about it feels cared for. If I want something more typically Spanish (or close), then I go to Palo Cortao (c/ Nou de la Rambla, 146). The blend of Catalan and Andalucian influences work wonderfully well together and the pescaíto frito is some of the best I’ve had around. 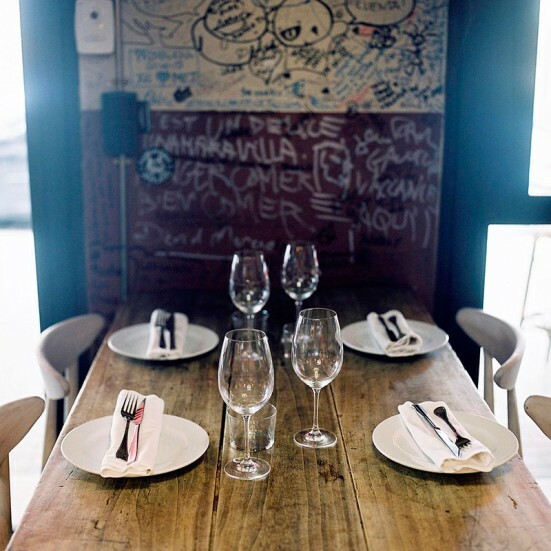 If I want something modern I’ll head to Mano Rota (c/ Creu dels Molers, 4). Another place literally around the corner from my house which I watched be constructed. I had knocked on the door before it had even opened, curious to find out what was going on. The guys were really friendly and welcoming, and took the time to show me around and present the menu. I’m glad to see the success they’ve had. Finally, if I want something a little different I head to Casa Xica (c/ França Xica, 20). The food is by far some of the best I’ve had around, both in terms of the quality of the ingredients and the balance of flavours. Another great thing about it is that they serve natural wine, something I was introduced to in London and am keen to continue discovering. If you’re not familiar or need a little help the waiter is great at helping you choose. 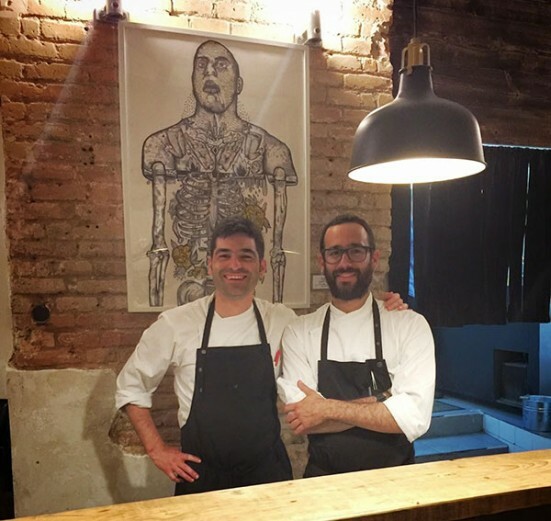 Generally I’m amazed at the amount of great places to eat out in Poble Sec, there are others I haven’t mentioned, and the neighbourhood is definitely worth exploring if like me your perfect day wouldn’t be complete without a great meal. Tara Jessop is Director of Culture for the Barcelona Hub of The Culture Trip, a global platform for all things culture. 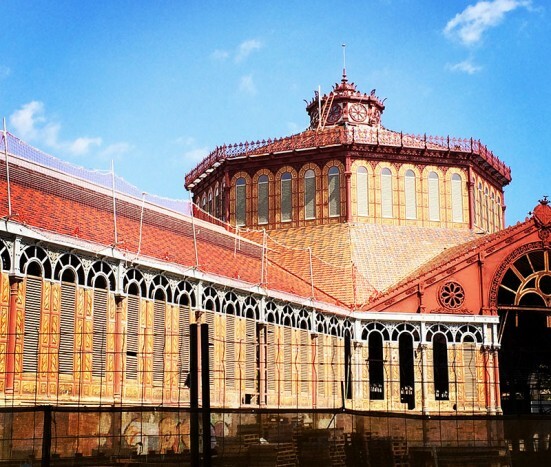 They are always on the look-out for local contributors keen to share their love and knowledge of Barcelona. You can contact her via their Facebook page for more details. You can also find them on Twitter and Instagram.